What are self-organising teams? Why do we need them? How can we effectively lead in a self-organising environment? This workbook provides practice-based answers to these questions. 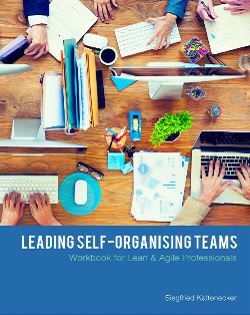 Focused on helping lean and agile professionals to improve, these answers offer a clear understanding of what self-organisation is about and why we need it to meet the challenges of the 21st century. The author gives an overview on the cornerstones of so-called leadership as a team sport and wants to encourage you to make good use of the broad collection of proven tools he offers. Siegfried Kaltenecker is the joint managing director of Loop Consultancy, specialising in organisation and leadership development and based in Vienna.